Cauliflower cheese has been a regular at our family dinner table for as long as I can remember. 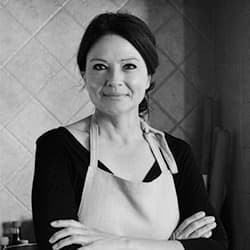 No Sunday lunch worth its salt would be without this stalwart of British cooking. As trends go, whole roast cauliflower is the new way to cook this versatile vegetable with a host of flavour infusions making it anything but dull. A whole roast cauliflower cheese with almond crumble is sure to create a little stir at your festive table. I suppose you could call this vegetarian comfort food, like this Cauliflower Mac and Cheese. Come to think of it, most comfort foods include cheese. For the béchamel, strong cheddar is a must. This isn’t the time for low fat milk either. Only full cream will do. Anything less will weaken the flavour and consistency of the sauce. 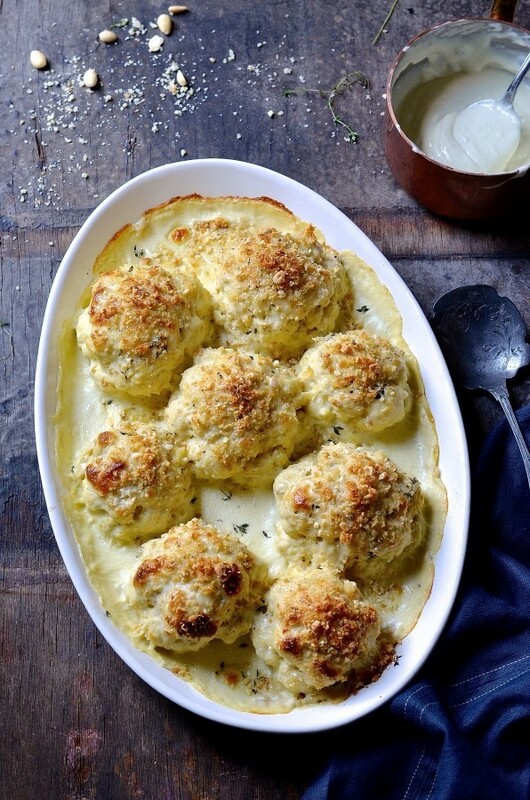 Cauliflower’s flavour is relatively neutral so adding ample flavour can only do it justice. Bringing it to the table looks awfully impressive and is the kind of dish that’ll be welcomed by vegetarians and meat eaters alike. 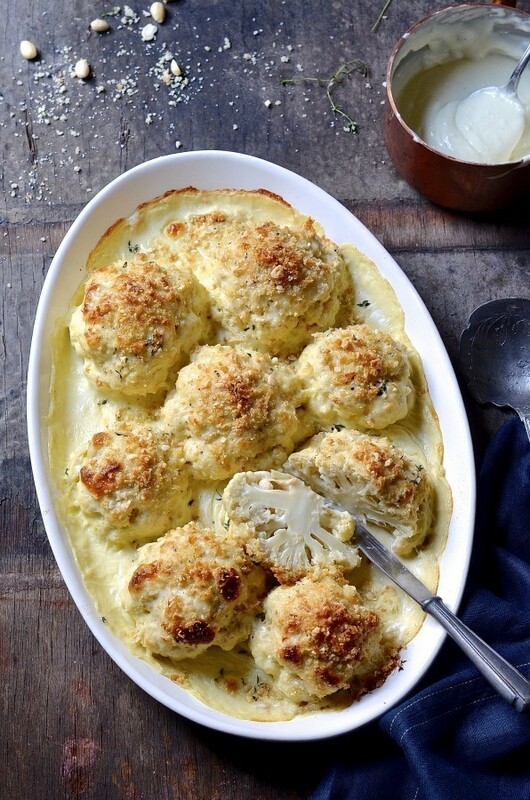 Textural food gets me really excited and this roast cauliflower cheese is no exception. Stingy sauce control is also unacceptable. Pour over a little more than you think necessary and then pour some more. 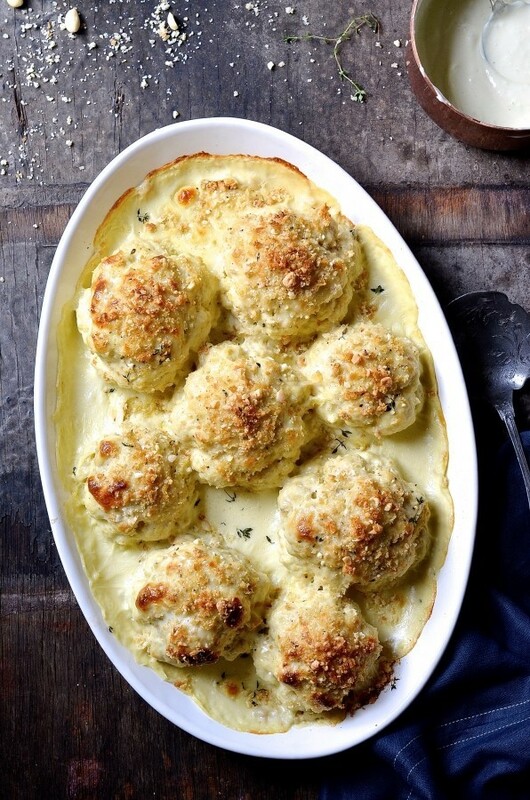 We’re after lashings of cheesy béchamel sauce, enough to smother each individual cauliflower, with extra pools on the side. For crunch, I scatter the tops with a parmesan and almond bread crumb mixture. Day old ciabatta bread makes the best crumbs. It’s rustic and crumbly – just the way I like it. Thyme and cauliflower are firm partners, so add a few sprigs of thyme or finely chopped sage to the crumb mixture. Preheat the oven to 180º C. Line a large roasting tray with foil. Start by preparing the cauliflower. 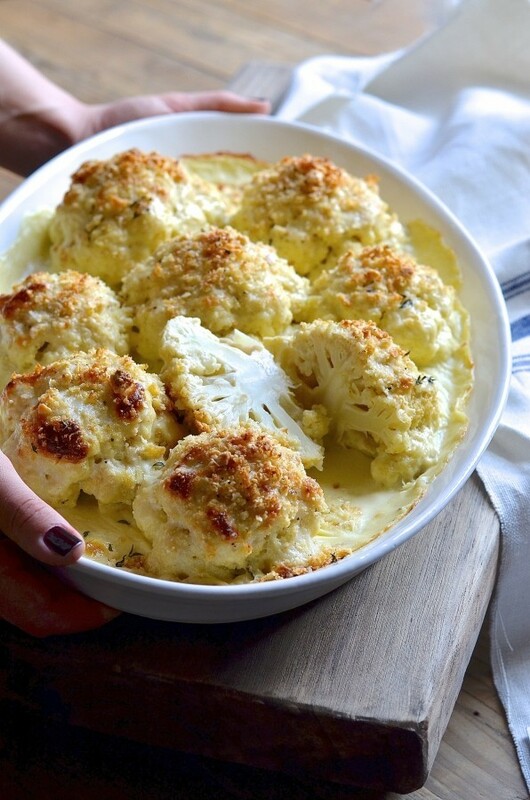 Combine the olive oil and butter and brush evenly over the cauliflower. Season with salt and place on the tray. Pour the stock around the sides of the cauliflower, cover with foil and roast for 1 hour 15 minutes. To make the béchamel, melt the butter in a saucepan. Add the flour and whisk to form a roux. Add the milk in stages, whisking all the while. Once the sauce is smooth and thickened, season with nutmeg, salt and white pepper. For the crumble, combine the bread crumbs, parmesan, thyme, black pepper and salt. Remove the foil from the cauliflower. Spoon the béchamel over the cauliflower. Scatter the almond bread crumbs over and drizzle with olive oil. Increase the oven temperature to 200º C. Roast the cauliflower uncovered for 20-25 minutes until the crumbs are golden and the sauce bubbling. Thanks for picking this up Sue! I’ve amended the recipe accordingly.